covered in the discography section. Armen was in his band for two years starting around 1974 and he played all around the world. The band was known as the Family of Mann at that time. While he was playing with Herbie the drummer was Steve Gadd and Tony Levin was on bass. 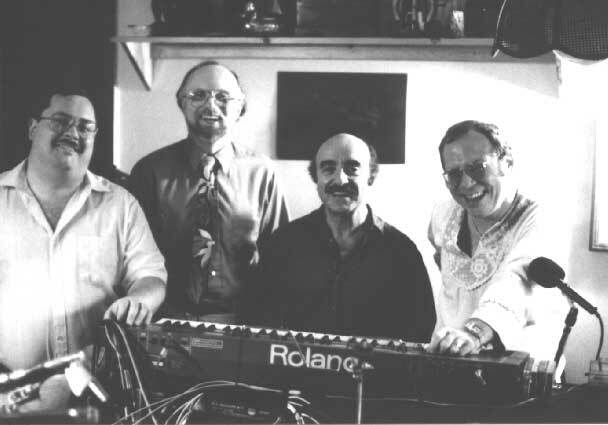 Besides the Herbie Mann tour Armen also played with Steve Gadd on the Frank Weber Album "As Time Flies". While Armen was in the army stationed in Fort Meade Maryland around 1954 he would drive up to New Jersey to study with Joe Morello. Joe was a member of Marion's McPartland's trio playing at the Hickory House on 52nd street. When Armen got out of the army he kept in touch with Joe. At one point Joe was offered gigs with Count Basie and Dave Brubeck. He joined Dave Brubeck and recommended Armen to play with Marion McPartland. We did several tours through Germany. Attila was originally from Hungary but later moved to Germany. He worked a lot in New York and frequently would put together a band to tour Germany. The musicians would vary but Armen got along so well with him that he became his personal percussionist. Attila had a hardy constitution and could withstand the rigors of the road with ease and party all night. Armen also came from a similar stock had a lot of energy and was one of the few who could keep up with Attila whereas the other musicians could not. On some of the European tours he would just take Armen and hire other musicians in Europe. Pat Metheny for a few gigs on the road. Armen had gotten to know Miroslav thru acquaintances in New York and New Jersey. Miroslav came over to Armen's house to hear him play. It was actually an audition but Armen didn't know it. 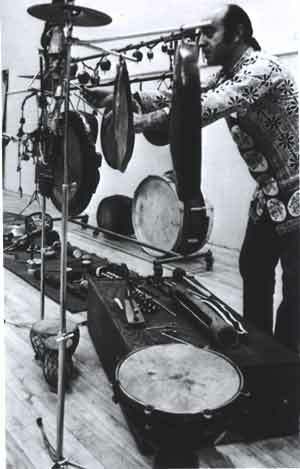 Miroslav was checking out percussionists for a new band he was forming with Joe Zawinul called Weather Report. Miroslav was looking for someone who would play more than colors and textures and they decided to go with Airto Moreira. Dave Liebman was the president of the musical group "Free Life Communications". He and Richard Beirach were two of the principal components behind the "Free Style" musical movement. bring some percussion instrument to a session he was doing with Joe Farrell. 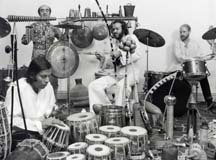 Chick Corea had invited Armen to bring some percussion instruments to the session he was doing with Joe Farrell, Dave Holland, John McGlauglin and Jack DeJohnette at Rudy Van Gelder's recording studio in Englewood Cliffs, NJ. Armen played on the one cut "Collage for Polly". When Armen got to the session the producer Creed Taylor was expecting Chick Corea to have written a Bossa Nova tune for the album. Instead all the musicians sat around and played a free style piece with Armen's percussion instruments. This was definitely not what Creed Taylor wanted but when Joe took a copy of the recording home to listen to that night his young daughter heard and liked these toy like sounds. As a result Joe insisted this cut be on the album despite Creed Taylor's objections. The song was named after Joe Farrell's daughter - "Collage for Polly". This is Whitney Houston's Mother. In 1975 Cissy sang on Herbie Mann's album Discothèque and the song Hi-jack was a big hit. Cissy brought two of the singers from her church to go on the road and promote the album. Armen played with him in a group called Tres Gone and other musical projects. sole musical backup to a live video of one of his performance pieces. Armen worked in New Jersey clubs with Peter for about a year. Mostly he played percussion. Soundscape was an experimental musical group led by Chris Wyman (synthesizer). The style of music was most akin to new age music The recordings and live performance often included environmental tapes (wind, rain, ocean etc.) as part of the sound mix. The other players were Armen on percussion, John Best on synthesizer, saxophone and hammered dulcimer and Keith Johnson on synthesizer and flute.